Yeah, there are nerves, but if I miss, I'm not going to die. This is my fifth Olympics. You just shoot your best shot, try to make it as best you can, and hope for the best. Maybe the wind blows, maybe something happens, you can only control what you can control. 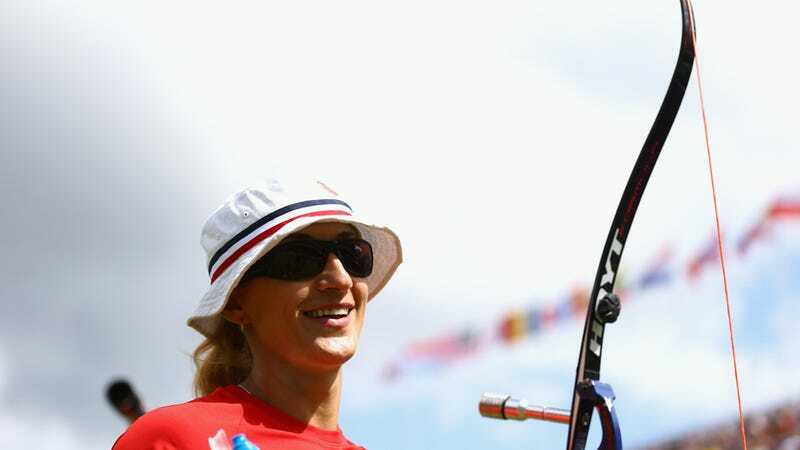 In addition to teaching Katniss how to shoot, Lorig is keeping archery in the family: Her 19-year-old son Levan is looking to enter the 2016 Olympic games.